TCXO Oscillator SMD | QVS Tech, Inc.
QVS TECH SMD TCXO products are available in a wide variety of configurations that include low current consumption, low supply voltage options, extended temperature ranges and tight stabilities. Typical applications include Mobile Communication Equipment, PDA’s, GPS, Portable Radio Equipment and Cellular and Cordless Phones. Typical sizes include 3×5 and 5×7 packages with Clipped Sine Wave and HCMOS/TTL outputs. Check out our ultra-small package 1.6 x 2.0 x 0.8mm. We can customize these products. QVS Tech Inc. offers a large variety of packages for all of the different type of oscillators that we sell. For instance, if you are looking for TCXO oscillators, we have a large inventory to choose from that include different package sizes, outputs, and frequencies. However, we offer much more than that. We have configurations that include low power consumption, low supply voltage options, extended temperature ranges, or tight tolerances. We also have typical sizes like 3×5 and 5×7 with Clipped Sine Wave and HCMOS/TTL outputs, so you can find the best TCXO oscillator to fit your needs. At QVS Tech Inc. we pride ourselves in having superior customer service because we know that is the backbone to any successful company. For over 15 years, we have treated every customer that has ordered from us with the utmost respect, and taken care of all of their needs. There are several ways that we put the customer first, including an easy to operate website, reliable, fast shipping and maintaining a large inventory of high quality, low cost oscillators. That is our pledge to you. Sometimes it is difficult to find the right temperature controlled crystal oscillator that works with your project, but QVS Tech Inc. can simplify the process and give you one stop shopping. We offer TCXO oscillators suitable for many applications such as Mobile Communication Equipment, PDAs, GPS, Portable Radio Equipment, and even Cellular and Cordless Phones, because we understand that not every customer is looking for the same thing. Also, many of our SMD TCXO oscillators are RoHS compliant. 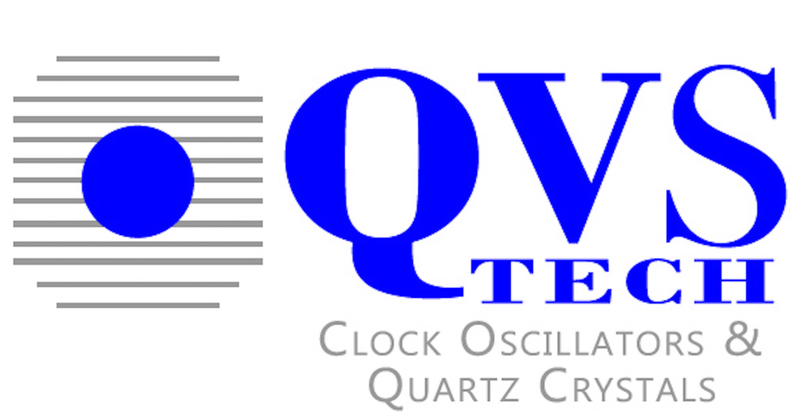 QVS Tech Inc. is committed to bringing you top quality surface mount TCXO oscillators at competitive prices. Check out our website and Facebook page, or give us a call at 760-929-8677 for a quote or to see our easy to navigate catalog. We are looking forward to your business. TCXO SMD OscillatorsTemperature Compensated Crystal Oscillator (TCXO) is an oscillator that contains circuitry for compensating frequency variation according to the crystal oscillator’s temperature. Typically the TCXO can be SMD mounted, unless special circumstances exist. The TCXO is a derivative of a standard Crystal Oscillator for use in applications where improved temperature stability is required.